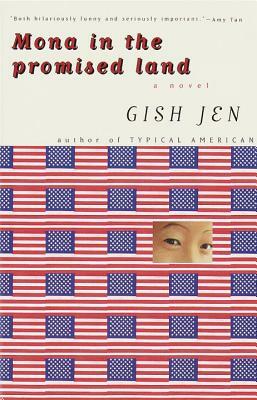 In these pages, acclaimed author Gish Jen portrays the day-to-day of American multiculturalism with poignancy and wit, introducing us to teenaged Mona Chang, who in 1968 moves with her newly prosperous family to Scarshill, New York. Here, the Chinese are seen as "the new Jews." What could be more natural than for Mona to take this literally—even to the point of converting? As Mona attends temple "rap" sessions and falls in love (with a nice Jewish boy who lives in a tepee), Jen introduces us to one of the most charming and sweet-spirited heroines in recent fiction, a girl who can wisecrack with perfect aplomb even when she's organizing the help in her father's pancake house. On every page, Gish Jen sets our received notions spinning with a wit as dry as a latter-day Jane Austen's. Gish Jen is the author of four novels, a book of stories, and two books of nonfiction, The Girl at the Baggage Claim and Tiger Writing. Her honors include the Lannan Literary Award for fiction and the Mildred and Harold Strauss Living Award from the American Academy of Arts & Sciences. She teaches from time to time in China and otherwise lives with her husband and two children in Cambridge, Massachusetts.